As President of the Council of Chief State School Officers’ Board of Directors from November 2018 to November 2019, Pennsylvania Secretary of Education Pedro Rivera is focusing his presidential platform on improving conditions for learning so that all students have the supports they need to be successful inside the classroom. As President of the Council of Chief State School Officers Board of Directors from November 2018 to November 2019, Secretary Rivera is focusing his presidential platform on improving conditions for learning so that all students have the supports they need to be successful inside the classroom. Specifically, Secretary Rivera’s platform is supporting state leaders in achieving educational equity for all students through an increased focus on the ways that state leaders can partner with community organizations to set conditions for all students to have access to the supports they need to thrive. 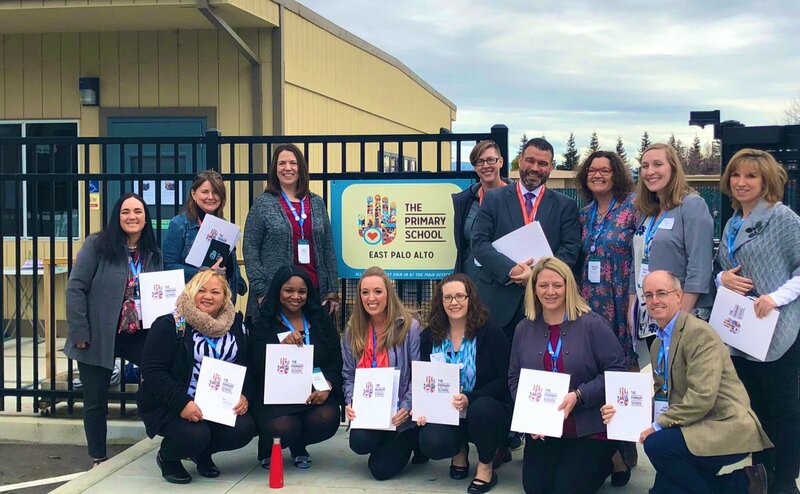 These partnerships could include community school organizations, mental health, physical health, and other organizations willing to partner with schools to meet the whole needs of children, so they can be successful in college, career, and life. Secretary Rivera will acutely focus on meeting the needs of students around food security, physical health and wellness, mental health and homelessness. 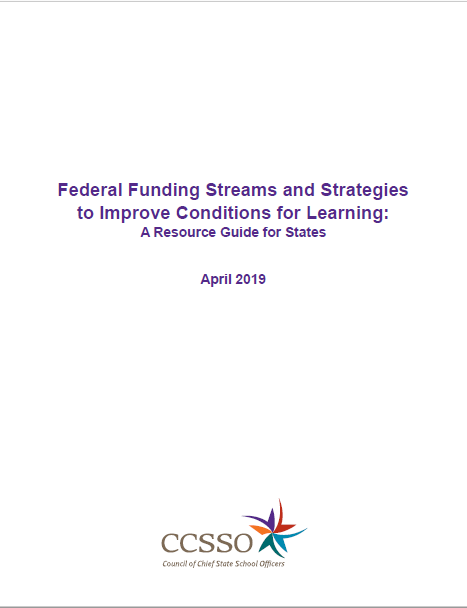 As part of this platform, CCSSO will produce a series of resources to inform state leaders on opportunities and strategies for improving the conditions for learning in their states. 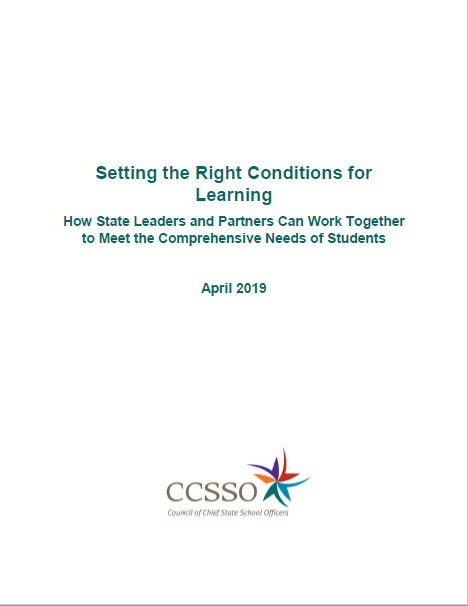 CCSSO will be highlighting resources from partner organizations to inform state leaders on opportunities and strategies for improving the conditions for learning in their states.